Cutting concrete is something that you normally would never want to do, but it is something that you may have to get done. However, what you will find is this can be more of a challenge than what you think and often you will be left asking yourself why do you have to saw cut concrete, instead of trying to do the cutting with a different tool or something else. 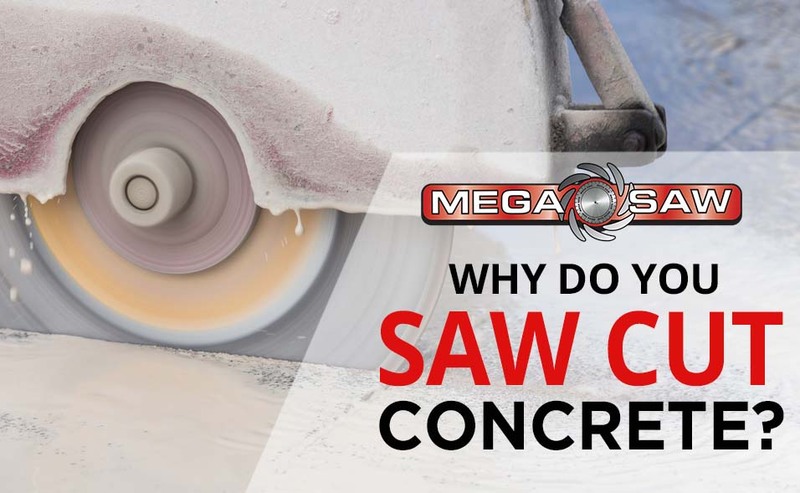 This is when you should know more about why you would want to saw cut the concrete and then you will get an understanding of how this is the most efficient method for you to use to get your concrete cut properly and quickly. 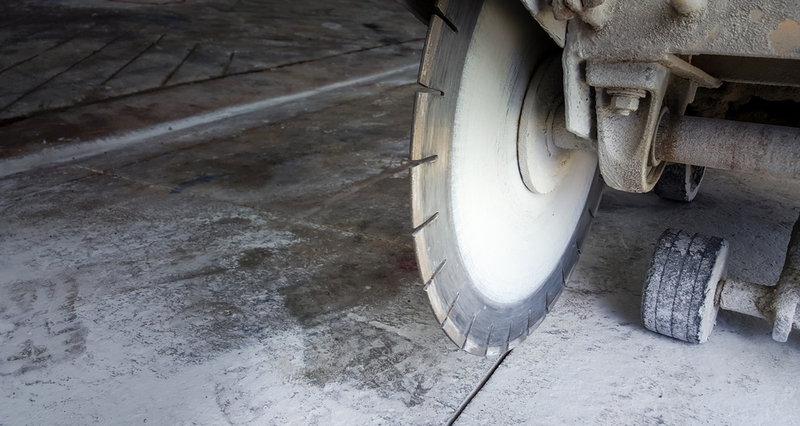 Edge control is something that a lot of people tend to overlook when they are cutting concrete. However, it is definitely something that a lot of people are going to need to know about. Since this is the case, people need to realize this is one way that they are going to be able to control the edge quite a bit better than what they were expecting. This makes it easier for you to get the edge cut properly and in the line you want to have. If you are using a jackhammer or other method to cut the concrete up, you will find that you cannot really get the edge controlled that much compared to a saw. The best way to think about this would be using a ruler to draw your straight line versus using a large crayon with no ruler and only creating dashes on the paper that you are drawing the line on. Concrete is very susceptible to what is called spalling. This is where you will be heating up part of the concrete and it will crack further down the line. When you are using a saw to cut the concrete you do have a chance to control the concretes temperature quite a bit because you can have water sprayed in the cutting line. This will allow the concrete to cool off and not have to worry about the concrete getting so warm further down that it will start to have the spalling issue that will cost you time and money in making repairs. What else is nice is like the jackhammer, you are going to control where the concrete will start to have some cracks. By having more control over this it will allow you to be more precise in what you are going to do with the work but also know more about where the cracks will show up. Without this, you could end up having some issues with the cracking being caused throughout the entire slab that you are working on because it was not properly prepared or controlled in the manner of cutting you were doing. The depth of the cuts when you are working on concrete is very important. If you do not have the proper depth you may not be able to do the job that you need to get done. However, if you are going too deep in the cutting you could have some issues with the concrete starting to get some issues later on. This is when you should know more about the fact that you can use the depth control to really help you out in getting the concrete cut and avoid any future damage. Something else that is nice about being able to control the depth of the cut with the saw is you are able to set what you need in the concrete at the proper depth. For example, if some of the pieces that you will be putting into the concrete is a drainage tube, you would want to make sure the concrete is going to have the proper depth cut into the ground to get the drainage pipe at the proper depth. Then you will not have to worry about the tube not being at the right level for the work you are doing and you will not have to worry about going too deep either because the saws do make it easier to control the depth. Being able to get your concrete cut is a good thing. However, understanding why you need to use a saw to cut the concrete is a good thing. By knowing about this, you will not mind contacting us to handle the work for you. Then you will know that your work is going to be done at the proper level, but it will also have the professional quality that you want to have done on the work and know it will be done properly and with the assurance that the work will meet what you want to have done.